Diverse communities. Progressive economies. Open and just societies. ALTHOUGH the U.S. federal government shutdown that took effect Tuesday forced most government offices to close and more than 800,000 federal employees furloughed, government offices dealing with immigration will generally remain open. Offices such as the US Citizenship and Immigration Services (CIS), the Immigration and Customs Enforcement (ICE) and the Customs Border Patrol (CBP) will remain operational because their operation is either financed by “other funding source” or “necessary for the safety of life and the protection of property”. The USCIS, which processes applications for legal permanent residence or green card and for naturalization, will continue to process petitions. The office is not dependent on federal funding. About 90 percent of the USCIS’ budget comes from the fees paid by applicants and petitioners. Only 353 of the USCIS’ 12,558 employees were furloughed. “All USCIS offices worldwide are open,” it said on its website. This also means that random site visits to determine compliance with immigration regulations will continue. ICE, the agency that handles immigration enforcement, will remain operational. 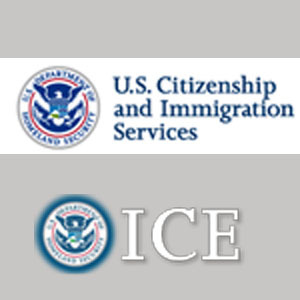 Of the 19,810 ICE employees, 15,794 were retained. This means that ICE will continue to perform its job — that is, arresting, detaining and deporting immigrants. Although the CBP lost almost 7,000 out of its total personnel of 59,561 due to the shutdown, it will continue to patrol the borders. Together with the Transport Safety Administration (TSA), the CBP will continue to man entry points such as airports and border crossings. The Executive Office for Immigration Review (EOIR), which handles immigration cases, furloughed 70 percent of its 1,339 employees. Only 153 attorneys were retained. This means it will take much longer for immigration courts to process deportation cases. Court functions that do not support the caseload of detained persons are suspended. The State Department will continue to process passport and visa operations. “Processing time for passport applications remain at four weeks or less for routine service and two weeks door-to-door for expedited service,” the department said on its website. Like the USCIS, visa processing at the State Department is funded by fees, so as long as there are sufficient fees to support its operations, it will continue to process applications. If the shutdown drags on, expect longer visa processing time, or worse, a total stop to visa processing. The E-Verify is shut down. This means that businesses enrolled in the E-Verify system will not be able to confirm the employment eligibility of employees in this Internet-based system against Department of Homeland Security and Social Security Administration records. Leaders of immigrant youth organizations perform at a recent protest action against immigration detention. Click photo to watch video. What is wrong with the U.S. immigration system?